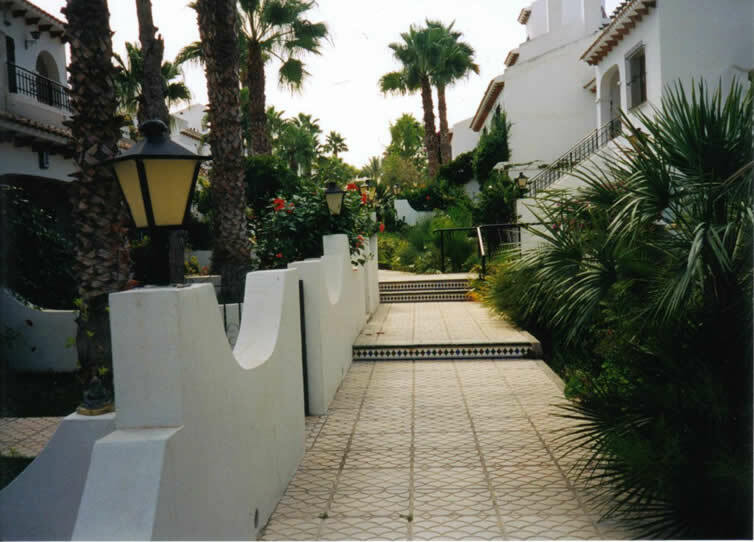 The Villa is ideally situated in the established setting of Verdemar II, a 5 minute drive from Villamartin. Adjacent, are the three superb golf courses of Villamartin, Las Ramblas and Campoamor, providing golf all year round. The location has the benefit of being secluded in a lush mature setting, having a stream outside the front garden and easy access to the private residents' pool. (Includes a shallow pool for small children). 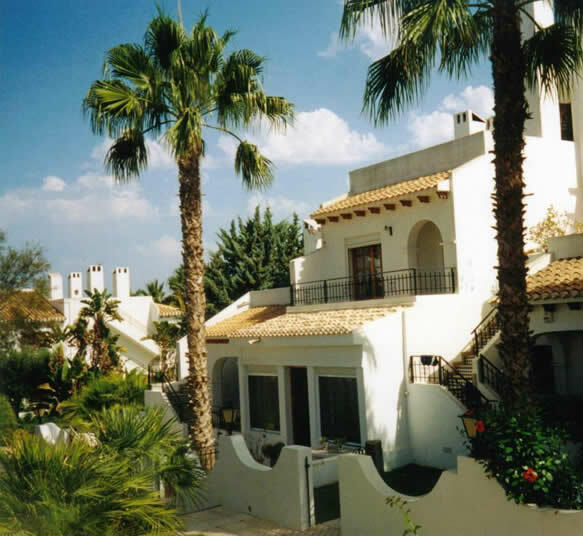 Several white sandy beaches are a few minutes drive away, as are a varied selection of restaurants, bars and shops at the pretty Villamartin Plaza and the costal resort of La Zenia. 8km away is the lively fishing port of Torrevieja with its impressive new promenade, marina and open air markets. Cosmopolitan Alicante is a 45 minute drive away. Water and theme parks are also within easy reach. Tennis and horse riding are available. Whether you're a keen golfer or you just want to relax in the sun next to a pool with the option of local amenities and nightlife, then this idyllic location will meet your needs. Click to enlarge then use Prev and Next to go back and forwards through the gallery. 15min drive from Murcia Airport. The Villa is also 5 minutes from 3 major golf courses.